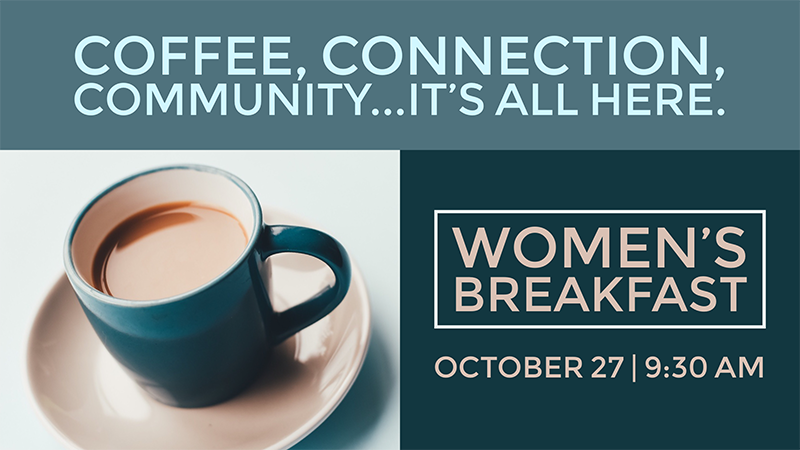 All ladies are invited to join us Saturday, October 27th from 9:30-11:00am for a time of food, fun, and fellowship together! Everyone bring a breakfast food to share. There will be free childcare provided. Sign up on a connection card or on the Women's Ministry Facebook group to let us know if you will need childcare!